SwimMirror’s Exclusive Interview with the Voice of Swimming! 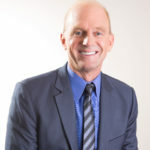 Rowdy Gaines is a three-time Olympic gold medalist and International Swimming Hall of Fame member. 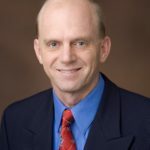 Known also as the voice of swimming, he has worked with CBS, TNT and ESPN as a regular announcer for swimming and other events, and called his seventh Olympic telecast for NBC at the 2016 Games in Rio. He will again be part of the NBC broadcast team in 2020 for the Tokyo Olympic Games. We are proud that Gaines is an advocate for SwimMirror, and had the pleasure of talking with him about his impressive swimming career, advice for swimmers just starting out, and more in the interview below. Dive in! SwimMirror: Thanks for talking with us, Rowdy. You’ve contributed a great deal to the international swimming community, but also locally here as the V.P. of the Central Florida YMCA Aquatics program. In what ways has SwimMirror helped you with swim lessons and training? 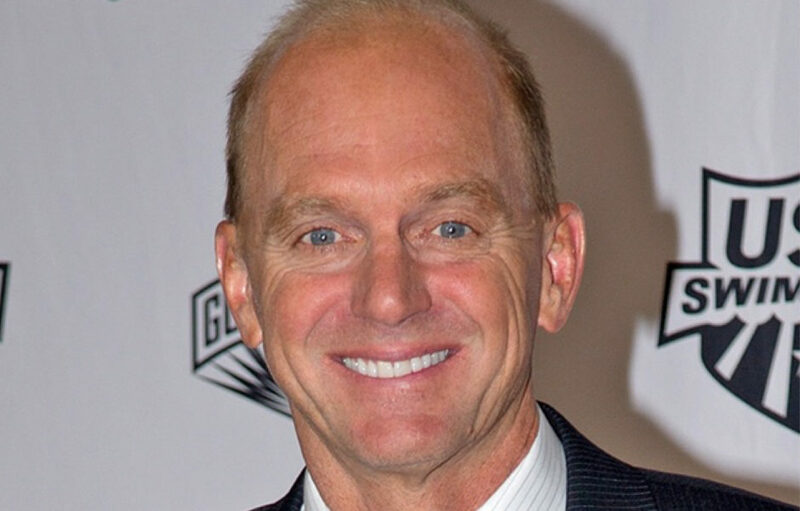 Rowdy Gaines: I think a lot of it is it’s just a great tool for technique. When you talk about swimmers and what is the best thing for them, there is no doubt in my mind that technique is the number one priority for all swimmers—not just elite Olympic athletes, but especially youngsters. One of the things that we do here at the Y is we teach primarily technique where conditioning is always secondary to technique. It’s a great tool to help improve your technique because the athlete can actually see themselves in motion. That’s next to impossible to do unless you’re filming an athlete. And even when you’re filming an athlete, the feedback comes at a later time, but the feedback is instant with the SwimMirror. I think that’s why the coaching staff love it. For myself and my own stroke, even, I love it so much. SwimMirror: We’re really glad to hear that! Speaking of your personal journey as a competitive swimmer, your documentary “Rowdy” just came out on ESPN. What was filming it like, and how has the response been? Gaines: Well, the filming was a little bit surreal because the whole time—that whole, I guess four or five months process—it was about me. So it was a little awkward the whole time of them filming, and then it was even more awkward when it came out. Gaines: We went to the premiere in Connecticut, in Greenwich, Connecticut they had a premiere in a film festival up there. So, when I’m watching [the documentary] in this movie theater, I’m looking at my wife and I say, “I feel like I should be dead,” because so many people are saying so many nice things. And it was just something that, again, a bit awkward because they’re saying such nice things about me and it’s almost in memoriam. It’s just, of course, that I’m alive. So, it was really nice. I was really touched by it. The filmmaker, Hannah Storm, is a great friend. Her husband is too, I do the broadcast with him in the Olympic Games. Their whole family, they’re great friends of mine. Again, it was a humbling experience, no doubt about it. SwimMirror: That sounds like a pretty amazing experience, too. Gaines: Yeah, it is. It’s really cool. ESPN was very generous. We traveled to L.A. I went back to Auburn. They came down here to film. They went over to Winter Haven and filmed my family, my mom and dad. They came here to Orlando to my family, my wife and my kids … It was pretty cool. It’s just one hour long, but I think it encapsulated a lot of the things about my life that some people, I guess, didn’t know. SwimMirror: A lot of your newer fans know you as the voice of swimming for your work as a swimming analyst on ESPN and NBC. What do you love most about being able to represent swimming on television? Gaines: I think for me it’s what you’ve already said in the question: it’s that I love the sport so much. Swimming has given me so much in my life. It shaped my life dramatically. I certainly would not be the person I am today without the sport and all the great lessons it taught me. But I think that love and that passion is what I try to get across to the audience that’s watching the sport. Because I think, especially in the Olympics, most people that watch the Olympics have no idea what swimming is all about. They don’t know anything about swimming. They don’t know what a backstroke flag is much less what all the strokes are even. I try to pretend like I’m talking to a person that’s sitting next to me that doesn’t know anything about swimming and kind of just explain to them the mechanics of what’s going on, but also the drama behind a lot of the stories. Because swimmers—and I think sports in general, athletes—they have great stories to tell sometimes, and that’s what I try to get across to the audience. And I love it and I think that passion is one of the reasons why I’m calling my eighth Olympic Games in Tokyo in 2020. I think they recognize I have a lot of passion for the sport. SwimMirror: Mm-hmm. And the listeners can definitely feel that. Gaines: Yeah, yeah. I get a little excited too much sometimes. SwimMirror: Not a bad thing to bring to an announcement! SwimMirror: Let’s talk about the annual Rowdy Gaines Master Classic, which is coming up on its tenth year. It’s drawn a large crowd of swimmers with a wide range of ages, levels and nationalities to Orlando. How’d the tradition come about, and how do you maintain that friendly and inclusive atmosphere across ten years? Gaines: I think, for me, Masters Swimming is a great conduit to stay in the sport of swimming. Most athletes retire in their mid- to late twenties from elite swimming. Masters Swimming gives the ability to those types of athletes to stay in the sport longer. It also gives the ability to people that have been out of the sport for a long time to come back and get on the blocks and actually compete at a level that’s pretty much equal to yours because you’re competing against people your own age. I’m 59, so I compete against the people in the 55 to 59 age group. It’s really kind of a lovely little ladder to the later years of your life. And the other great thing about Masters Swimming is anybody can do it. I mean, my father is gonna swim in my masters meet this year, he’s 83 years old and hasn’t swum a competitive lap since he was in high school. So, it’s kind of cool. And my wife has swum in the meet before. It’s a way that you can kind of get involved in a competition that’s not too intense or as intense as you want to make it. It’s also a great chance to get to know people from all walks of life as well. SwimMirror: That’s really great. How have preparations for that been? Gaines: It’s good. Like you said, this is year number ten, so we’re trying to have a fairly special one. I think for me, the idea of having one was just accidental to start with. It wasn’t like I had this grand idea and I was gonna have ten of them. I thought it was just gonna be one. And one thing kind of led to another and we said, okay, let’s try to do this again and do it a little better and do something different. Each year we try to do something a little unique for the audience. Two years ago, we were supposed to have it and a hurricane canceled it that weekend. We had to reschedule for December, so we kind of had a Christmas theme to it. Those kinds of things come along, but I think this year we’re gonna have a good turnout and it’ll be fun. SwimMirror: We’ll definitely look forward to it. Are there any other swimming events you’re looking forward to? Gaines: The summer season is pretty much over with, so the next thing you really have to look forward to is the college season. I love college swimming, it’s exciting. It’s really team-oriented—not that international swimming isn’t, because you’re swimming for Team U.S.A.—but there’s nothing like swimming for your college. And high school swimming, which is going on right now. I like that team atmosphere behind swimming. Of course, for us it’s always about the Olympics and we’re over the halfway point. We’re over the hump as far as heading to Tokyo now. We’re less than two years away. That’s starting to get on everybody’s mind. I know two years seems like a long way, but for swimmers, once you reach past that two-year mark you really start to hone in on your goals. And for an elite swimmer the goal is to make the Olympic team. SwimMirror: Do you have a favorite college team? Gaines: Well, I went to school at Auburn, so that’s always gonna be my alma mater and that’s always who I’m secretly rooting for. I do have to be impartial, which I feel like I am when I’m calling races. I did the NCAA Championships this year and I’m doing my 29th NCAA Championships for men this year. I feel like I’m pretty good at being as impartial as I can. And Auburn’s always had a great swim team, so it’s easy to talk about them because they’ve won like 13 national titles. It’s not hard talking about them. But I admire the greats: Texas, Cal, Florida. They all have amazing swim teams and it’s easy to cheer for them because they’re really good and they’ve got great coaching and great athletes. SwimMirror: Definitely. Speaking of coaching, do you have any tips for a beginning swimmer trying to master the freestyle? I guess the one major tip for me is to keep your head down or rather keep your head in line with your spine. It’s like when your mom and dad tell you to sit up at the table, you know? Good posture. You know, that’s what I’m telling them, sit up at the table, you know. Just have great posture. Posture, line, and balance. Three important words in swimming. SwimMirror: Posture, line and balance. Great to keep in mind. So, to wrap up with one last question, what’s next for you? Any new projects on the horizon? Gaines: For me, right now things are trying to settle down a little. I still travel quite a bit. My main focus is always going to be, besides my family of course, the YMCA and how we can be an asset to the community. I think we do a lot of great things with our scholarship program here. With our reaching out to the community to tell them that leading a healthy lifestyle is important. For me that’s one important thing. The next thing that I’m really passionate about is drowning prevention. Drowning is an epidemic in our country. It’s the leading cause of unintentional death for children four years of age and younger. It’s something that I try to preach about and talk about a lot, especially here in our community because central Florida is only second in the country behind south Florida in the number of drownings nationwide. It’s something that we really should be aware of in the community and try to do something more about it. So, for me, it’s always something that I look forward to in trying to talk to parents and communities and members. SwimMirror is an industrial leader for manufacturing shatter-resistant, reinforced and polished aluminum pool mirrors. We aim to be the perfect underwater swim training tool for instant visual feedback on swimming and stroke technique. SwimMirror supports athletes, swim coaches and aquatic facilities through nationwide distribution.